As a manufacturer of sanitary fittings, for which water is the natural environment - the most valuable resource for man - we have a special obligation to the nature surrounding us. That is why products with our logo are environmentally friendly. By the term "environment protection" we understand water and soil protection, air protection and waste management. Our company, in addition to conforming to formal and legal regulations in this field (i.e. having the appropriate permissions), continues to invest in environmentally friendly solutions. We do this in four ways. Thanks to the smart choices of our customers, we primarily help to conserve drinking water. 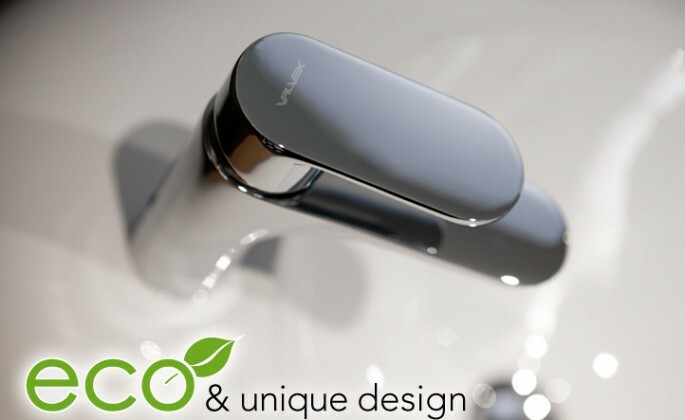 Tap aerators fitted in our mixer taps restrict the flow of water up to 50%, and with precise adjustment, users have full control over its stream. At the level of utility fixtures, Valvex cares for the environment by producing solid, leakproof valves. Eliminating system leakages enables substantial savings in water consumption, and if a different liquid flows in the pipes - contamination of the environment is avoided. We make every effort to ensure that the technology used in our factory does not harm the environment. For this purpose, we have implemented an Environmental Management System, and our methods are consistent with the international ISO 14001 standard (we obtained the certificate confirming the compliance of procedures with the standard in November 2009). Sophisticated system of production organization minimizes the consumption of raw materials and utilities, and quality control makes sure that the manufactured products are not defective. As a result, we consume less power and introduce less waste into the environment.